The deal of the day for Atlanta on Groupon.com is 1/2 off a Membership to Fernbank Natural History Museum! 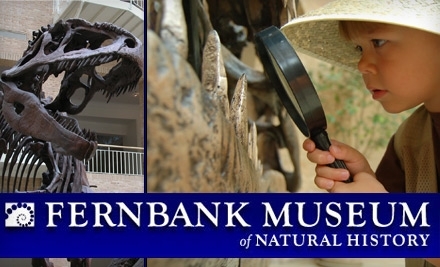 For $42 get 2 adults and up to 4 kids into the Fernbank Museum all year, this is regularly $85. Or get a Single membership for $30, reg. $60. If you were to go and visit without a membership it would be $22 per adult and $19 per kid so this pays for it’s self on the first visit!